Delicious spicy herring in bite-size pieces. This is a chilled product. 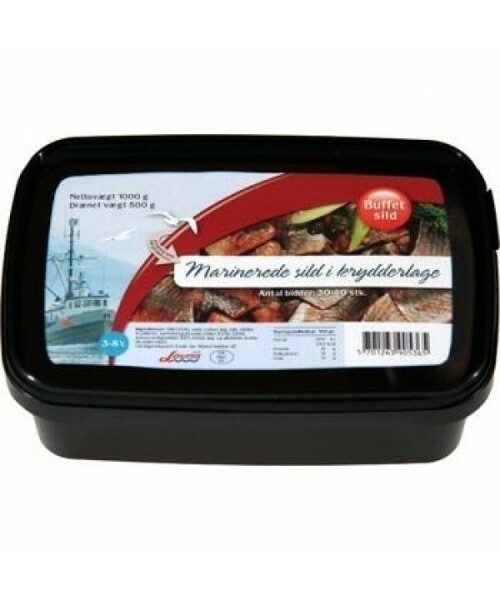 Delicious herring bite-size pieces marinaded in vinegar flavoured with allspice. The tub contains 1 Kg of fish which is ideal for parties and family occasions when served by itself or as an addition to open sandwiches. Please note: This is a chilled product. 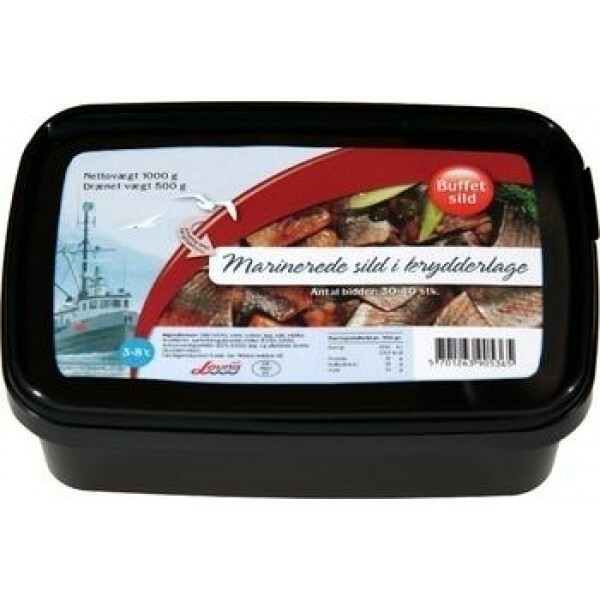 Herring (Fish) (45% ), water , sugar, onion, salt , vinegar, spices, acidity regulators ( E330 , E296 ) , preservatives ( E211 , E202 ) , onion, allspice flavours ( spice oils).